Vinay Forrt malayalam actor profile and biography is given here. Vinay Fortt is an upcoming actor from Kerala. He has acted in a number of films across all the regions in the country. He forayed into the world of cinema after spending a lot of time in the theatre. He sharpened his acting acumen by associating with different theatrical movements in Cochin City. He molded his career well by suitably taking specialties that helped him to improve his acting skills. 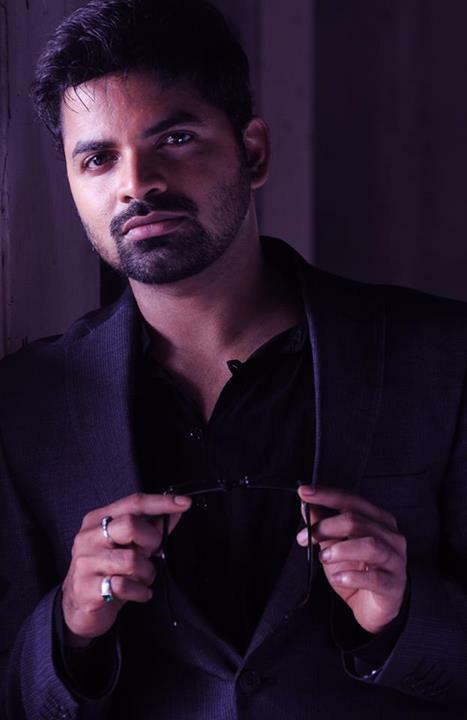 Vinay Forrt is an upcoming cinema artist in the Indian cinema industry. He is a theatre artist with decades of experience in acting. He also has a postgraduate degree in acting from the coveted institution of the country Film and Television Institute of India in Pune. He is an ardent follower of theatre movement in the country. He is also an actor and an activist. Vinay has a long-standing relationship with his girlfriend Soumya. Ms. Soumya is engaged to him recently. They are going to enter into the institution of marriage in the near future. He made his debut in the film Ritu. Vinay Forrt was born in Fort Kochi to a Hindu family. His parents were M.V. Mani and Sujatha. He had his formal education in Cochin, the financial capital of the Kerala state. After successfully completing his formal education, he was enrolled in a reputed school to help him continue his education till the tenth standard. During his association with this school, he tried to develop his skills in acting by enacting different roles in local arts club-sponsored drama. He generally used to travel with different drama troupes to different places and showcase his talents to the audience. As a child artist, he could gain the attention of the important dance troupes near his birthplace. However, he did not let his extensive association with the theatre movement hamper his studies. With the help of his classmates, he used to make up for the lost classes and learned the lessons quickly. As a result of this, he could pass his SSLC exams successfully with reasonably good marks and grades. Since he was interested in theatrical movement that was sweeping the state, Vinay took up the third group for his pre-degree course. When he got into a pre-degree course, he got more freedom to engage in this theatrical movement. His parents were also not against him at the point in time, as they wanted their child to excel in whatever it wanted to do. However, he did not let his parents down and judiciously devoted his time between academic education and creative works with different drama troupes in the region. As he had enough first-hand experience in acting, he could gain good marks for his specialized subjects in the pre-degree course. Due to these reasons, he could do well in the PDC exams and come out with flying colors. Then, he joined a degree college for pursuing degree course in theatre arts. Since he had sufficient experience in the theatrical movement, the study at the degree level in this specialty was a cake for him. As stipulated by the academic syllabus, he started taking various projects in collaboration with the reputed theatres with which he had fruitful associations in the past. When he started acting in films, he became more serious about his relationship with his girlfriend Ms. Soumya. After many years of courtship, the relationship graduated into mutual love and affection. Hence, he got engaged with his fiancée recently. His parents offered their consent and blessings to formalize this relationship. With the blessings of his parents, their marriage is going to take place in the near future. Since Vinay Forrt was concentrating on the academic projects much earlier academically, he was way ahead of other students in his batch. He tried to consolidate his lead by regularly interacting with the senior faculties. Due to this reason, he was able to impress his teachers and gained good internal assessments from them. They were sure that young Vinay would do well in the degree exams. At the time of examination, he could systematically study the academic topics and write the exams, banking on the years of fruitful experience in the theatrical movements. These factors successfully contributed to his success in the degree exams. He came out successful with flying colors again. The success he tasted in the theatrical movements, prompted him to take up a postgraduate course in in Acting from the Film and Television Institute in Pune, Maharashtra. While studying at Pune-based film institute, he came across senior theatrical figures who came there for taking classes. Losing no time, he developed a rapport with them and devised methods to work with them. During his film institute years, he slowly formed his opinion on various issues afflicting in the society. Thus, the activist in him started getting deeper roots in him. He joined welfare activities undertaken by the institute. This also gave him much insight into the ways humans behave in different circumstances. Vinay received the National Scholarship from the Government of India for the Best Senior Theatre Actor when he was doing his postgraduate course at the Film Institute. The scholarship was for the period starting from 2004 to 2006. From the Film Institute, he started spreading his area of activity to different regions of the country. He started getting offers from Bollywood, Kollywood and Mollywood. In Mollywood, he got the first offer from the ace director Shyamaprasad to act in his next movie Ritu. Since his pre-degree college days, he was also practicing contemporary and Indian Classical dances. Occasionally, he appeared in various dance programs, showcasing his dancing talent as well. The young Vinay Forrt made his acting debut through the film Rithu. This film was directed by the coveted filmmaker Shyamaprasad. The next movie in which young Vinay featured was Veetilekulla Vazhi. This film was directed by an upcoming movie director Dr. Biju. In the second film, he co-starred with Prithviraj and Indrajith Sukumaran. After the initial assignments in the Malayalam movie industry, he got a chance to work with the reputed and senior actor Naseeruddin Shah in a movie titled The Blueberry Hunt. This film was directed by another Malayalee Anup Kurien. The young actor became very vocal about his experience of working with the senior actor Naseeruddin Shah. According to the words of the actor, he learned some of the undocumented tricks of the trade while working with the senior actor. The young and upcoming actor said the senior actor was very magnanimous in pointing mistakes and suggesting changes. In the film the Blueberry Hunt, Vinay did the supporting role whereas the senior actor Naseeruddin Shah played the role of a chief protagonist. After working in the English movie, Vinay Forrt had the opportunity to work with a reputed director Reema Borah. The film in which the young Vinay featured was Chatak. Vinay had met the director of the Hindi film during his Film Institute days. Hence, the director was fully aware of the potential of the young actor. The young Vinay acted well in that movie and earned the appreciation of the director. When he was acting in the Hindi film, he got another offer from Kollywood. The offer was to act in a Tamil movie titled Jayakumarin Thirakathai. This was a Tamil film directed by Sharath Haridasan. After a brief while, he again turned back to the Malayalam movie industry, when the ace director Sibi Malayil offered him a chance to act in his movie Apoorvaragam. In this Malayalam language film, he acted alongside Nishan, Asif Ali and Nithya Menon. The other Malayalam language movies he acted include Karmayogi, Kaanakombathu, and Navagatharkku Swagatham. The first film was directed by a well-known director V.K. Prakash. The second film was directed by Mahadevan and its scripts was written by Madhu Muttam. The film Navagatharkku Swagatham was directed by the reputed filmmaker Jayakrishna Karanavar. The script of the movie was written by Kalavoor Ravikumar. Another film in which he featured was Shutter. This film was directed by Joy Mathew. Vinay Forrt is an upcoming actor who has made his presence across South India and Bollywood. Before his debut in the cinema, he was very active in the theatrical movement that was sweeping the state. Since he was interested in drama and acting, he chose his path carefully and selected the courses that helped him to become a successful actor. His proficiency in acting was proven when he got into the Pune Film Institute, a reputed institute for acting. To get into the Film Institute itself was a big task. True to its stature, Vinay's association with the institute helped him to broaden his contacts in the film industry. He cultivated contacts in Bollywood and South Indian film industry. He even got National Scholarship for acting for a period of two years, starting from the year 2004 to 2006. Vinay's stature as an accomplished actor grew after he became eligible for the National Scholarship. When he was about to finish his postgraduate course in acting from the Pune Film Institute, he started getting a steady stream of offers from various movie directors in the country. The first director who dared to give him a chance was the ace director Shyamaprasad. Under his guidance, the young Vinay acted in the film Ritu and earned his appreciation. From that point in time, the young actor never looked back. In between his busy schedule, he found time to court with his fiancée Ms. Soumya. The courtship continued for some time. The relationship would be solemnized into the marriage in the near future. For this purpose, he got engaged to his fiancée recently.